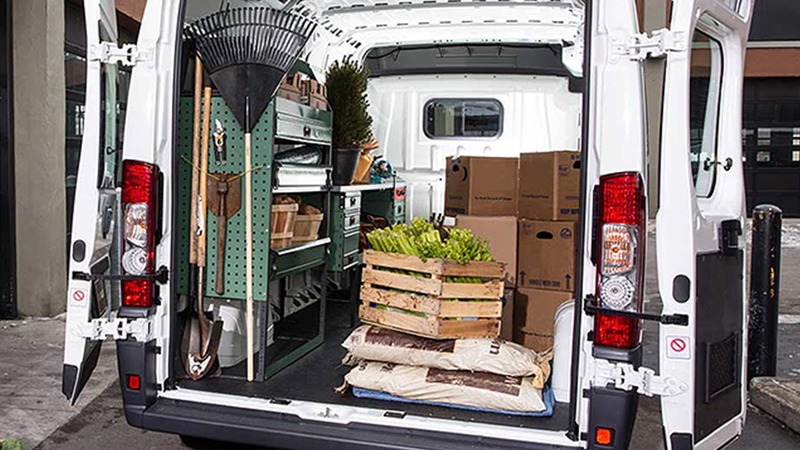 The 2018 RAM ProMaster van is a get-it-done dynamo that can have 2 heights, 3 wheelbase lengths (SWB, MWB, & LWB), a more than 60-inch rear doorway, and the lowest-step-in height in its class. This Class 2 commercial van is a full-size tradesman's dream on wheels that can tow up to 5,100-lbs, not to mention that it is very popular with delivery businesses. 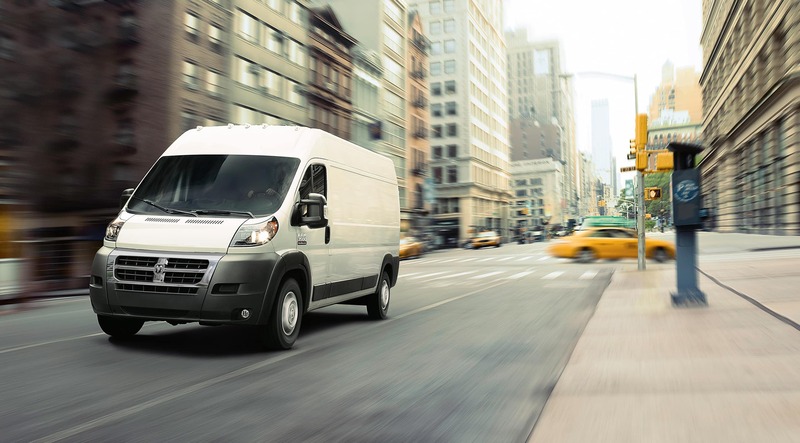 It has options galore, such as for daytime running lights, body-styling (Cargo Van, Chassis Cab, or Cutaway Van), and 2 possible engine elections. The fact that it is FWD lets it get lower than other delivery vans because the typical RWD-setup van has a driveshaft underneath the vehicle taking up space. The FWD setup intentionally makes more room inside the cargo bay to stand up into, while simultaneously being cheaper to fix-- due to fewer drivetrain parts to replace over its lifetime. Let's get further into the nuts and bolts of this widely-utilized van! What powertrains are possible with the 2018 RAM ProMaster? An AutoStick six-speed automatic transmission partners with the 3.6-liter V-6 engine and gets the job done with its 280 horsepower (best-in-class) and 260 lb-ft of torque. There is additionally a 3.0-liter turbodiesel I-4 that lets loose with 174 horsepower and 295 lb-ft of torque. 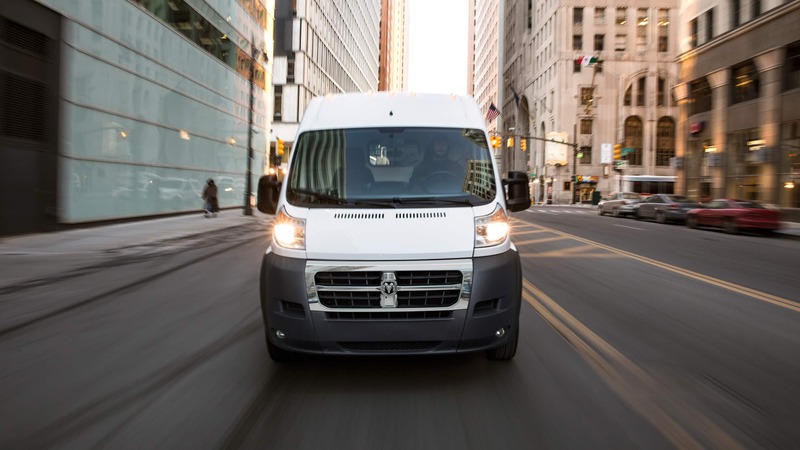 In certain configurations, the 2018 Ram ProMaster can tow up to 5,100-lbs and can haul a payload of up to 4,440-lbs. The front-wheel-drive setup is class-exclusive, and also allows for a best-in-class 36-foot turning diameter, nevermind nimble handling on narrow city streets. Can you outline the features and general layout of this van? There are three wheelbase lengths (Short-, Medium-, & Long-WheelBase), a 3-piece modular front fascia, available sliding doors on both sides, and nearly 90-degree vertical walls on the inside for storage and/or upfitting, which alone easily showcases this van's versatility. 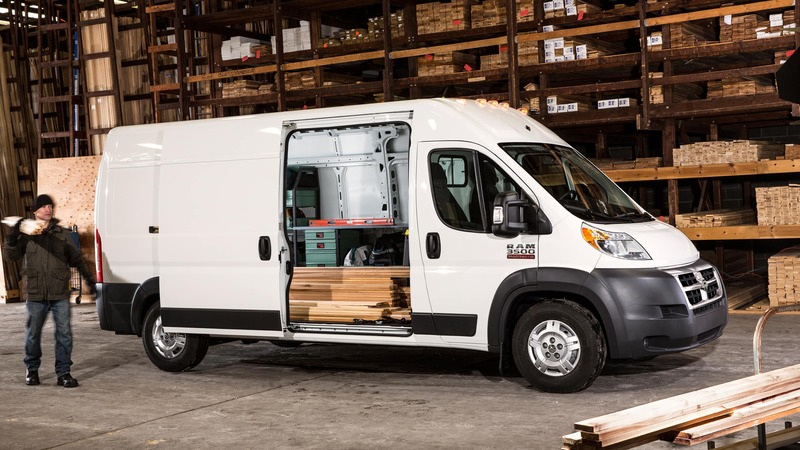 The 2018 ProMaster 1500 SWB gets 259 cu ft of cargo volume, and the MWB has 304 cubic feet of cargo volume in its low-roof style or 353 cu ft in its high-roof style. Specifically, the available roof heights are 88.7- or 99.4-inches, which we mention here so you can plan your business needs better. 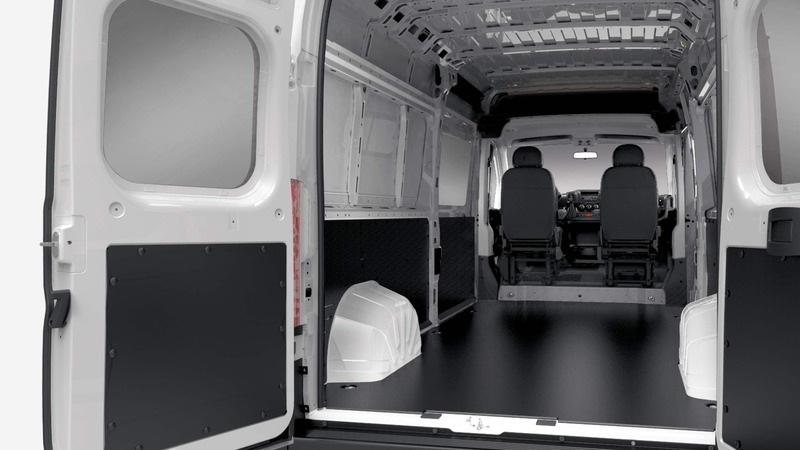 Cargo Vans will have up to 17 floor & sidewall tie-downs to get your cargo in line, plus, there are available 180-degree front passenger swivel seats! 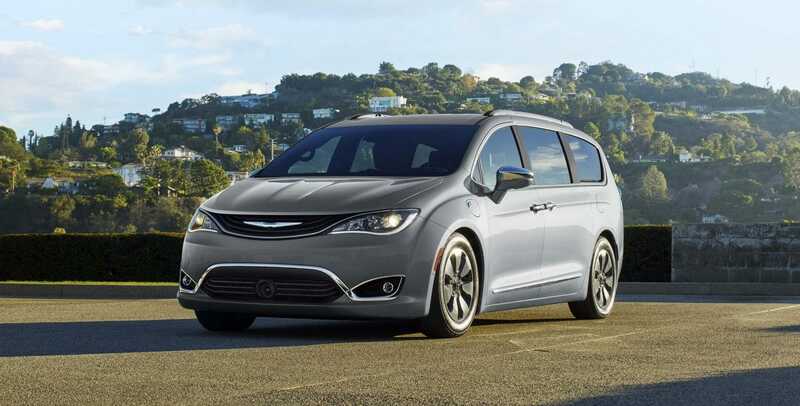 Consider springing for amenities like navigation, especially if you plan to use this as a fleet vehicle, and consider as well the 6-way adjustable driver/passenger seats, a remote start, power side mirrors, a Wood Composite floor, lighter wheels, and windows for the sides that add increased visibility. 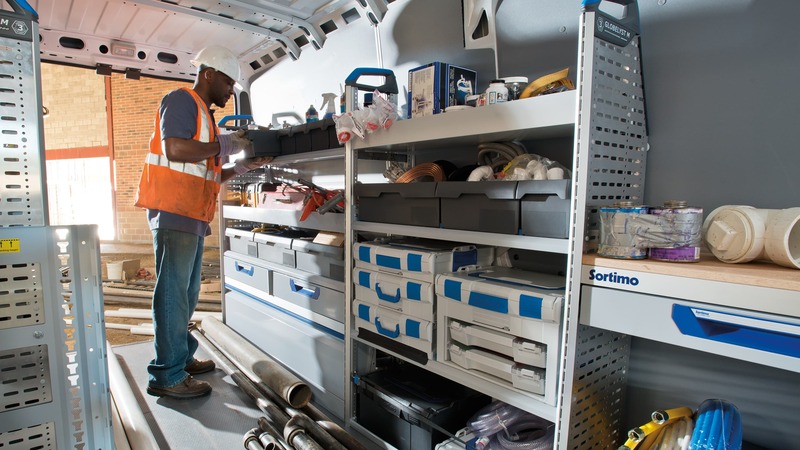 Factory-installed shelving is possible, plus, this van can have a dealer-activated speed limiter that chimes a warning when exceeding the pre-set miles per hour. 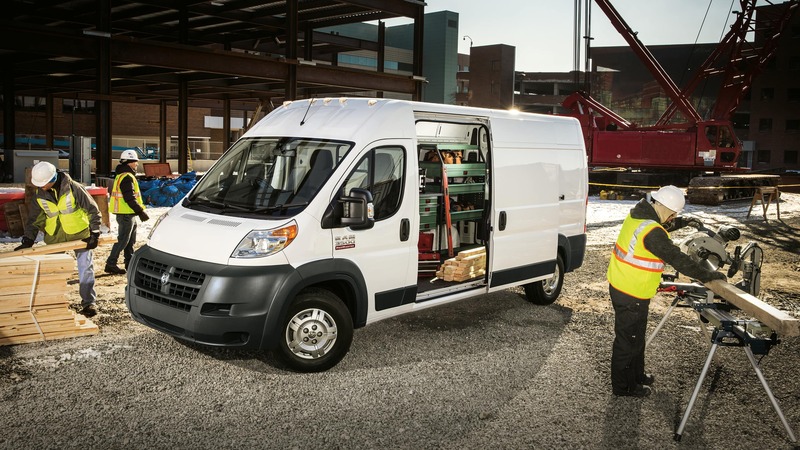 The RAM ProMaster Cargo Van is standard with 16-inch steel wheels, keyless entry, 4-way seats, a UConnect infotainment system with a 5-inch touchscreen, Bluetooth, a USB port, as well as a rearview camera. Always-appreciated LED light bars can be installed into the cargo space, rear-hinged doors can acquire a deep-tint glass, and even a back bumper-step extension can be placed onto this van. As a go-to van for business fleets, it can be delivered with SiriusXM Radio and safety-orange seatbelts as standard if ordered as a Fleet vehicle. 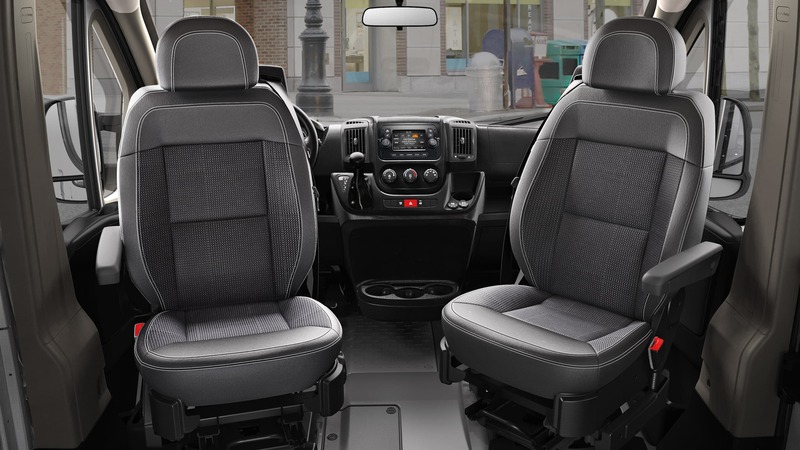 Look into the Interior Convenience Group which brings exciting accommodations such as a cargo net, overhead and under-seat storage, as well as a locking glove compartment, and more! In case you're wondering, the Cutaway Van version has a removed back cab panel to allow easy internal entry & exit between the cab and the cargo area. How safe is this van for businesses and drivers? Not only do the rear doors swing open 260-degrees, but they can hold steady at 90- or 180-degrees too. The 2018 RAM ProMaster has as a matter of course, an advanced airbag system, standard All-speed traction control, Electronic Roll Mitigation, and Hill Start Assist. For those of you concerned about your employee's driving speeds, there is a choice for an electronic vehicle tracking system on top of the speed-limiter mentioned above. The ParkView Rear Back-Up Camera is standard too, as are Traction Control, Remote Keyless Entry, and a TPMS (Tire Pressure Monitoring System)! Also, the Trailer Tow Package comes with a "4- and 7-pin" wiring harness that works in conjunction with a Class IV Receiver Hitch for the safest towing possible. 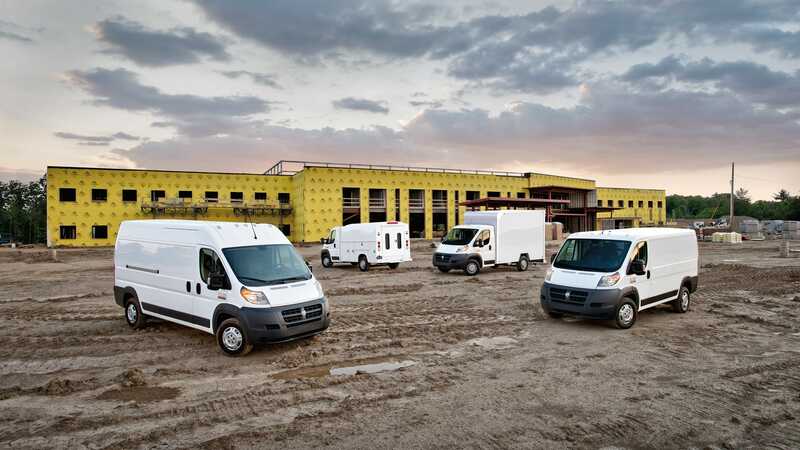 With an incredible 21-inch step-in height, a ton of options and configurations, the 2018 RAM ProMaster is certainly a great buy for the busy worker or fleet owner. It is reliable, powerful, modular, and already has a proven track record from years of design and feedback. With all of this and more, why not contact us about this vehicle? Go ahead and fill out the inquiry form on this page to get started on your adventure! 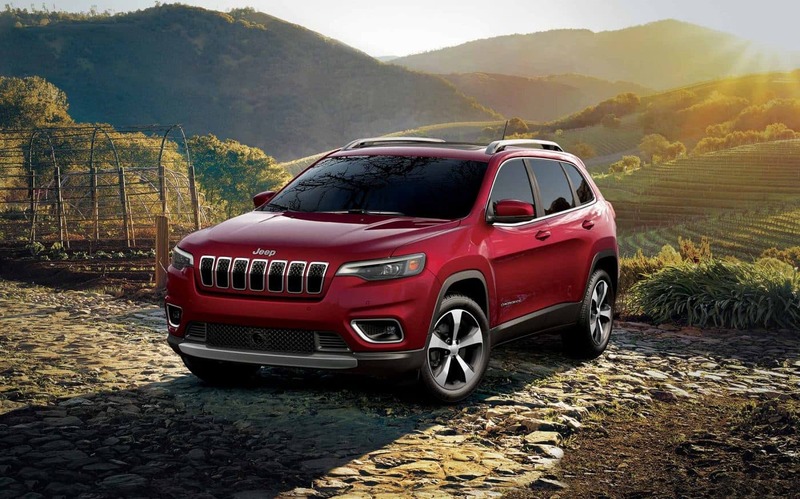 We look forward to working with you very soon on this one at East Hills Chrysler Jeep Dodge Ram!